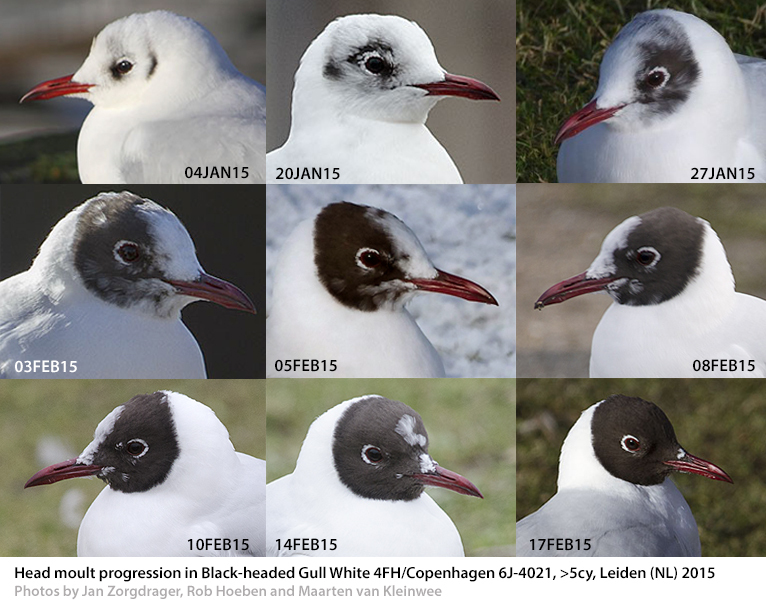 Images of adult female Black-headed Gull Chroicocephalus ridibundus, ringed as White 4FH / Copenhagen 6J-4021, showing the progression in head moult over a period of some 5 weeks. The process started a few days before 20 January 2015 and was completed shortly after 17 February 2015. 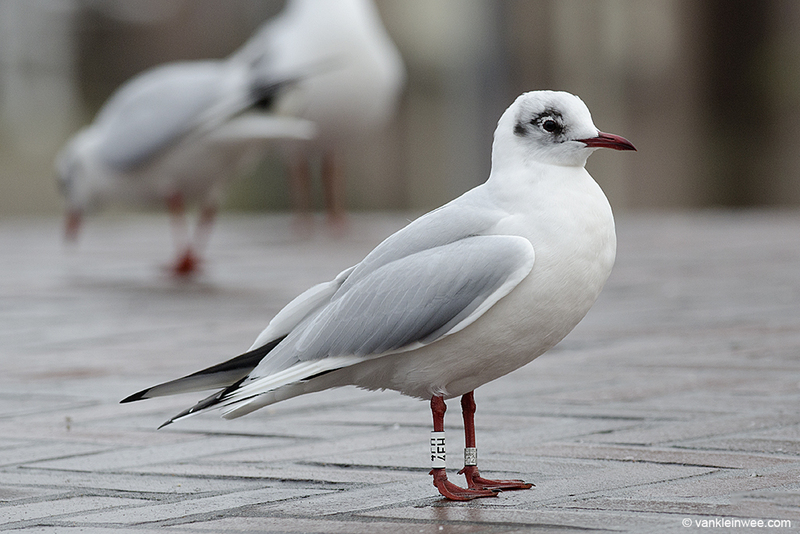 White 4FH is a returning visitor to the city of Leiden, the Netherlands where she is seen regularly which has allowed us to create this overview. 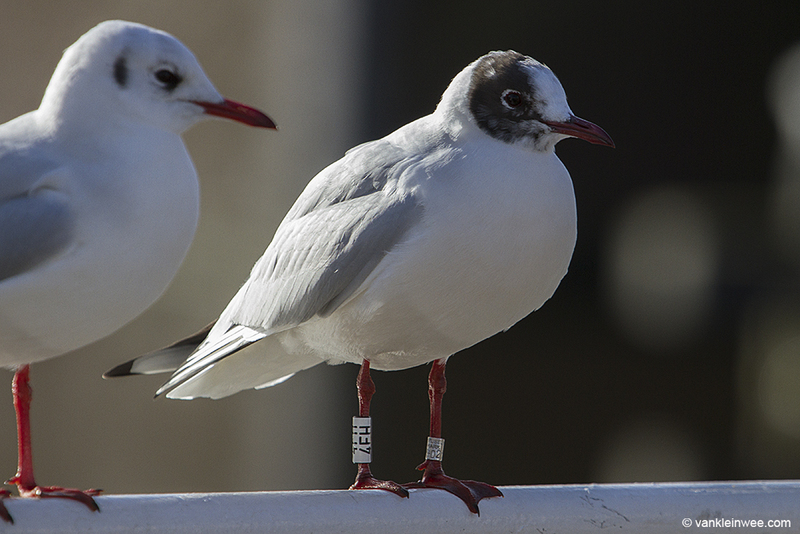 She has not been seen on several occasions since 17 February 2015, leading us to believe that she has left our city and has started the migration back to Scandinavia. 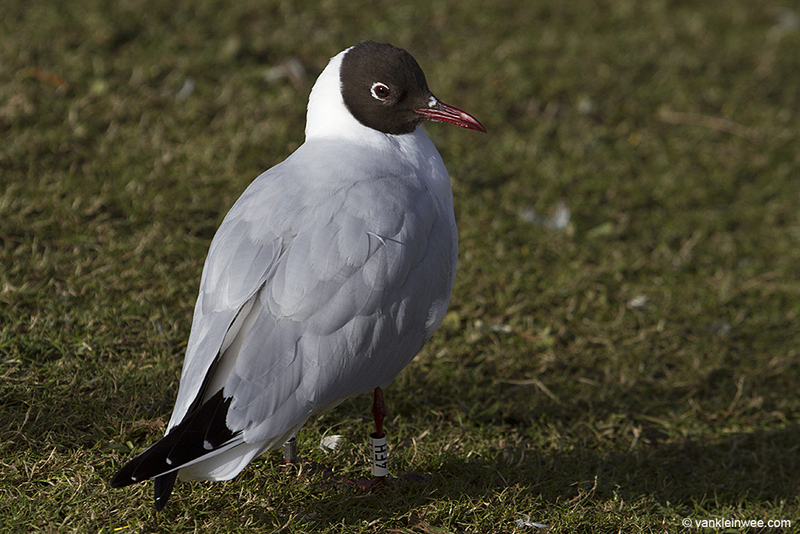 White 4FH (current age older than 5 calendar years) has acquired the brown hood earlier and faster than most other individuals do, but she is certainly no exception. 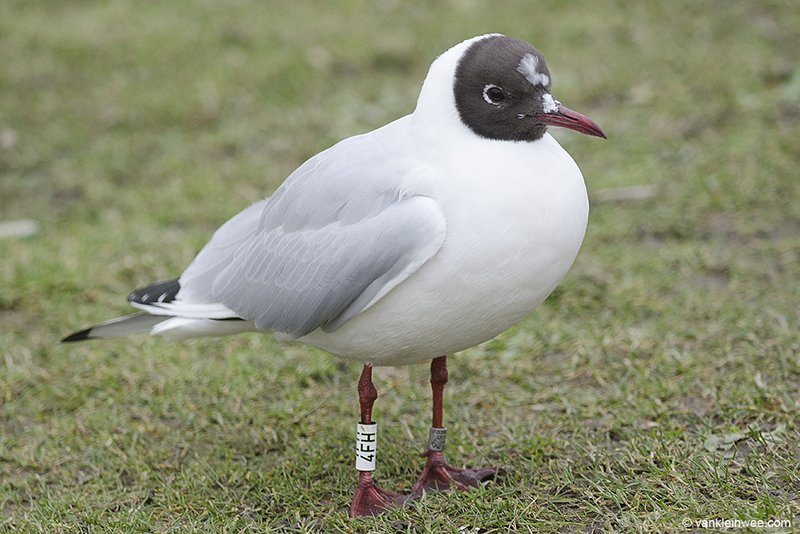 It is interesting to observe this feature in a single gull and to be able to compare it to other (ringed) individuals. Hopefully we will be able to document the progression in White 4FH over the coming years to find out if it progresses with the same speed and manner. Below are some full images of White 4FH that were used in the photo composition above. All have been taken during the winter of 2014/2015 in Leiden.